Over the course of her 100 years, Dr. Margaret (Marmie) Hess did plenty of things most people only dream of — she established a successful art gallery in her Calgary hometown, drove A. Y. Jackson to southern Alberta locations to paint, and accumulated an enormous collection of Canadian art. 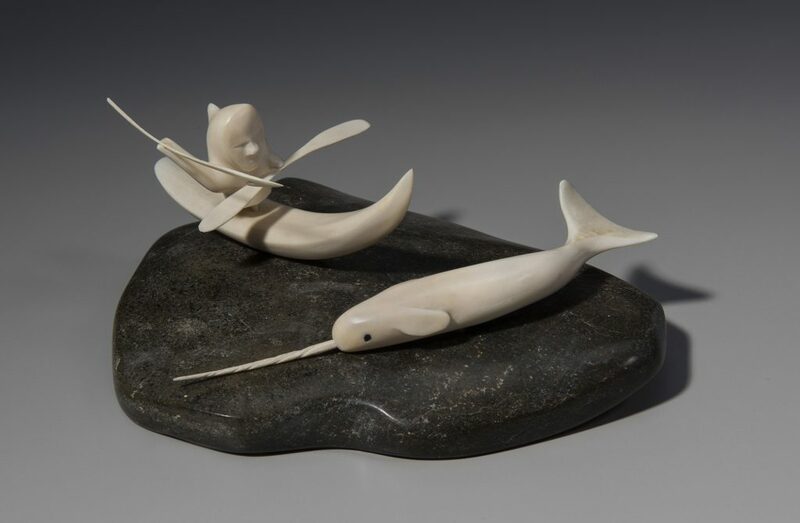 She shared this collection, not just with her fellow Albertans, but with all Canadians: she has generously bequeathed part of her Inuit collection — close to a thousand objects — to the Canadian Museum of History. The collection is remarkable. Drawn from a wide swath of Inuit communities and regions, the works were produced by first- and second-generation artists from the early 1950s to the 1980s. An educator and artist by training, Dr. Hess kept meticulous records, allowing scholars to study Inuit artistic trends across region, gender and time. The collection contains 753 sculptures, 72 prints, 52 drawings, 25 ethnographic objects and 1 painting. It represents 32 communities across the Canadian Arctic.